The WC50 at first glance it is just a clock on the wall to remind you of the time, but within it’s housing, it is an advanced video recording station. The WC50 is one of your best choices when you need to record surveillance video no matter where it may be! The pinhole sized camera hides right on the face of the clock where it captures clear and precise 1080P quality video. If you aren’t around to operate the camera yourself, there’s no worries! 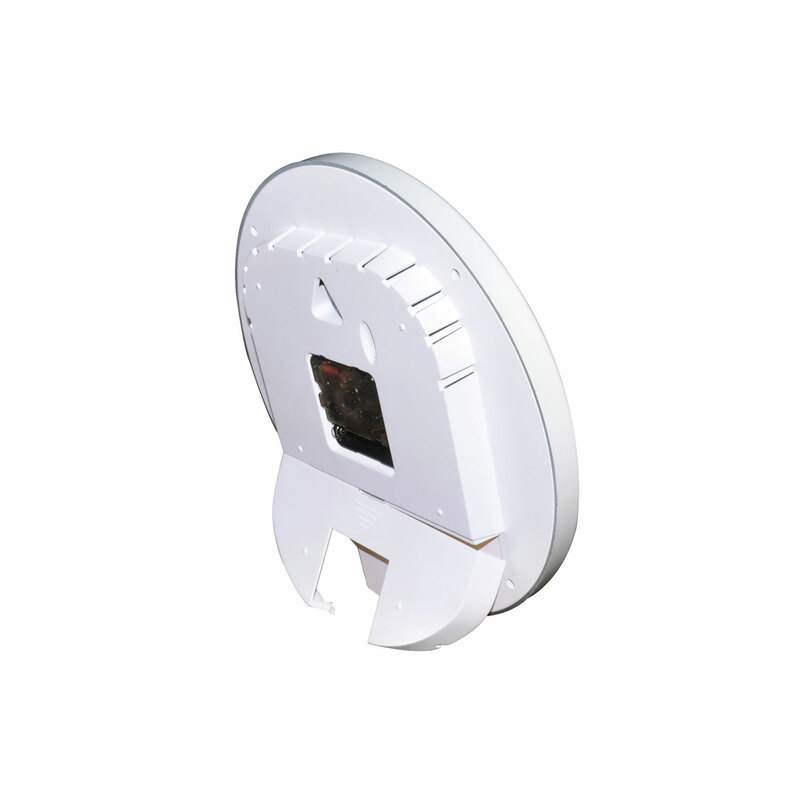 Simply activate the Passive Infrared Sensor system (PIR) and let the camera record whenever it detects motion! 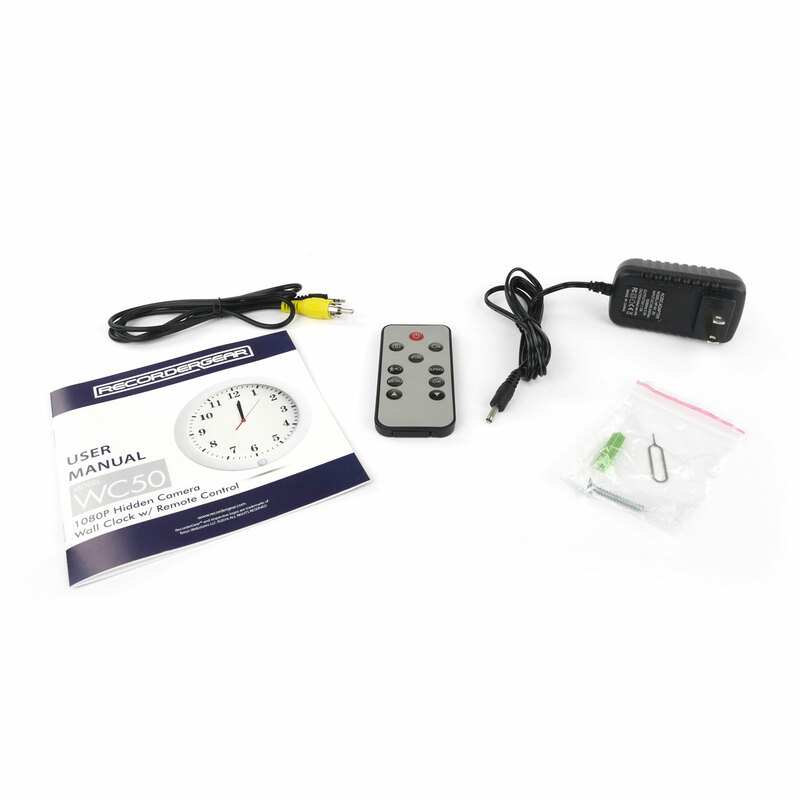 There’s no need to call attention to the WC50 while you are operating it because it comes with a remote control that allows you to start and stop recordings without even touching the clock! How much video the device can hold is up to you as the WC50 allows for expansive memory up to 128GB in size. Video and Images are stored on a Micro SD card. Each video recording is given a date/ time stamp to help you recall the exact time that events take place within your recordings. When the time comes to review your recordings, you can either take out the SD card and view your files from a computer, or simply leave in the SD card and connect your WC50 to the nearest TV and connect it with the provided AV cable and watch your recordings directly from your TV screen! Simply sit back and relax, and let your WC50 take care of your recording needs. Weight | Dimensions: 27.4 oz | 10"
Records footage in clear HD video at 1080P @30fps with a 65° angle. Capture footage more efficiently in motion activation mode; it will only record video when motion is detected. In continuous mode, this device records video whether motion is detected or not. Take still photos with the touch of a button. 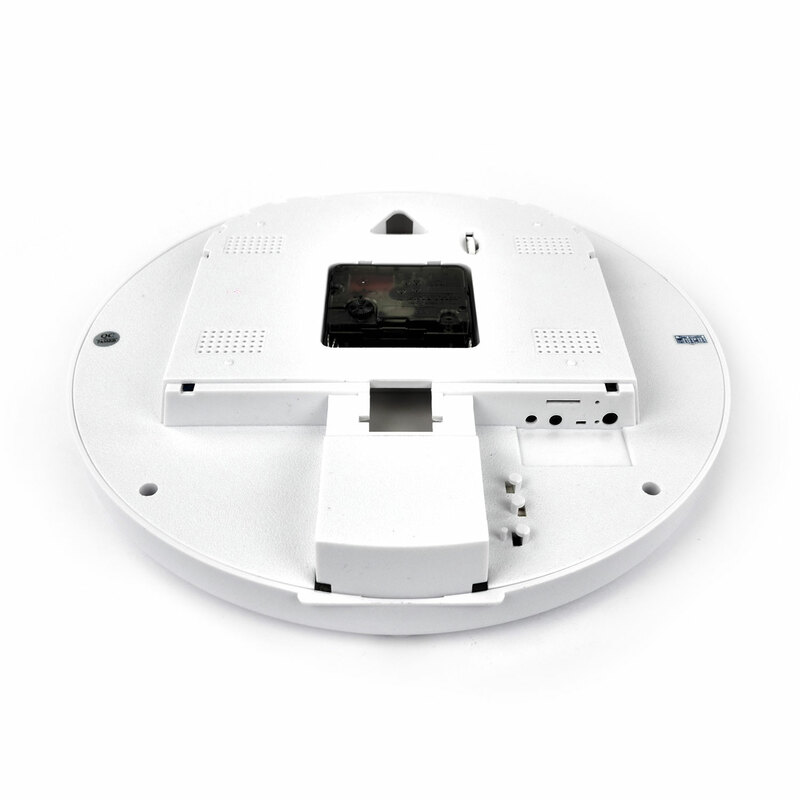 Operate the WC50 for up to 23 hours in continuous mode or up to 6 months in motion detection on a single charge. This device is also wall powered and can record 24/7 for round-the-clock surveillance. 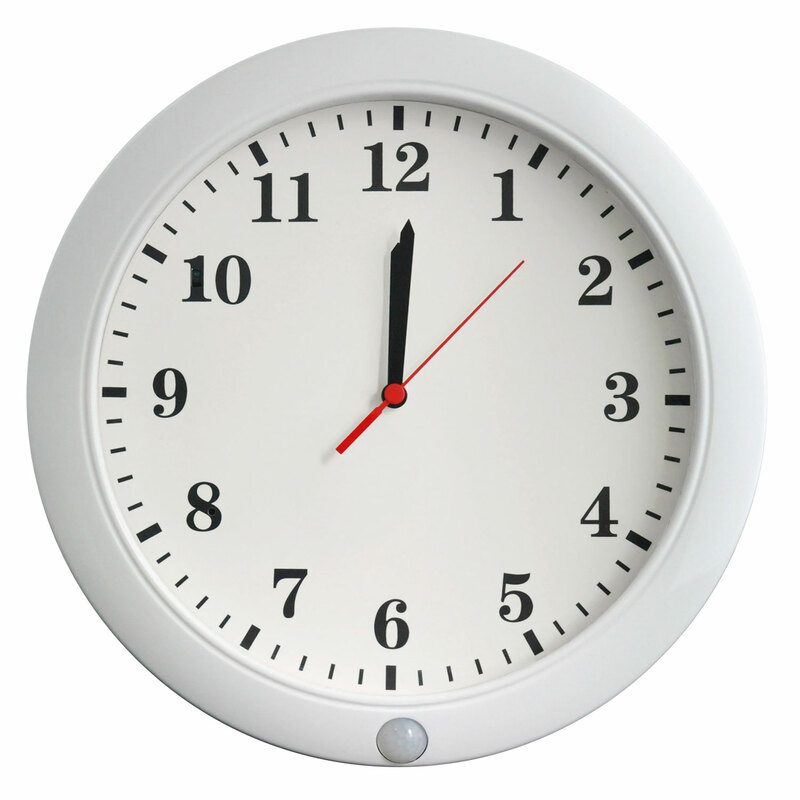 The clock itself is powered by a single AA battery. This is to protect the time. If the recorder’s battery dies the clock will continue to run as normal. Display the time/date on surveillance footage to know exactly when each one took place. There is no need to worry about running out of memory. This device accepts an SD card up to 128GB. Control all functions of the WC50 seamlessly and easily with the remote control that comes with it. The remote control allows the device to be used in secret. Plug into a TV to view a live video feed or browse/playback the recordings.